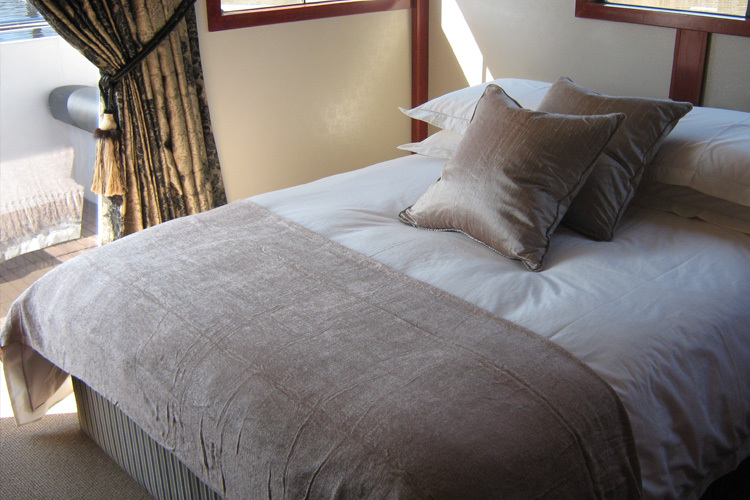 If you’re searching for venues in Vanderbijlpark, look no further. Make use of the spectacular Liquid Lounge for all your function needs in the Vaal Triangle. 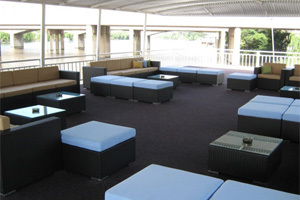 The Liquid Lounge offers the most unique venue in the Vaal, and is suitable for any type of function. Whether you’re looking for a venue for your wedding day, 50th Birthday celebration or corporate events, The Liquid Lounge is the perfect choice for you. If you’re still deciding on venues in Vanderbijlpark for your function, why not visit Liquid Lounge to see what we can offer you. 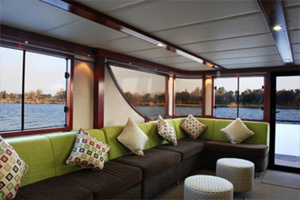 You will be delighted when stepping aboard this beautiful Vaal Triangle venue – our luxurious river cruiser. Find out below what makes the Liquid Lounge so special, and why you should book your next function with us! The beautiful Liquid Lounge – Best of venues in Vanderbijlpark! 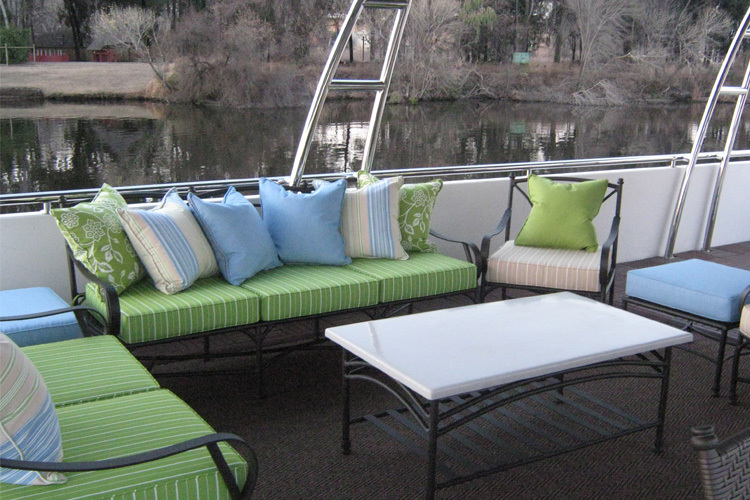 The most unique feature of the Liquid Lounge is the fact that you will be cruising down the beautiful Vaal River during your function. You and your guests will be treated to spectacular river views and natural scenery whilst enjoying deliciously prepared food and drinks. The facilities aboard this venue in Vanderbijlpark will fit all your needs. Our professional and trained staff will see to it that you and your guests are attended to, ensuring our guests are happy and satisfied. The Liquid Lounge guarantees all you require and more, making us the best choice of venues in Vanderbijlpark for you. Which type of functions will the Liquid Lounge host? Weddings: Book the wedding venue of your dreams! The Liquid Lounge offers couples a unique wedding reception venue, making their special day a memorable one. Our professional staff will ensure your wedding runs smoothly. The Liquid Lounge is becoming a popular venue for weddings in the Vaal Triangle, as it truly offers a unique and beautiful setting for your big day. Read more about why you should book the Liquid Lounge as your wedding venue in Vanderbijlpark. Parties: Book you next party aboard the Liquid Lounge – This venue is ideal for any party or birthday celebration, including 21st birthdays, wedding anniversaries, kitchen teas and more. Find out today if the Liquid Lounge is available for your party! Read more about this party venue in Vanderbijlpark. 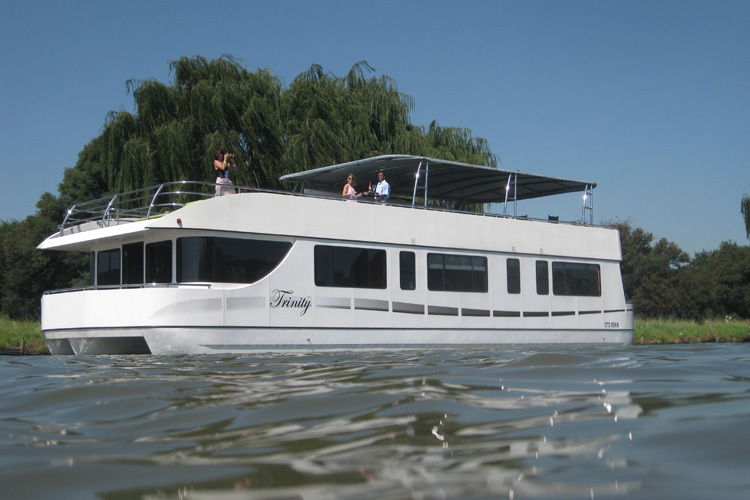 Corporate functions and conferences: Employees will be thrilled to be treated to a day out on this beautiful river cruiser. 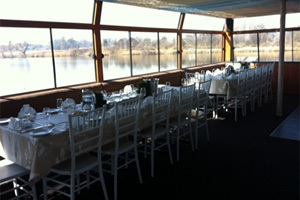 This venue in the Vaal is ideal for year-end functions, social events and other corporate events. The Liquid Lounge is also suitable for small to medium sized conferences, and will be able to accommodate all your requirements. Read more about this corporate function venue in Vanderbijlpark. Sunday lunch and entertainment events: In addition to hosting large social events, the Liquid Lounge also give opportunity for you to enjoy a great day out on the Vaal River with your family and friends. 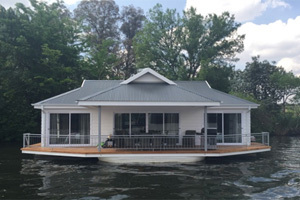 Read more about our river cruiser for special family occasions. Coordination: Our professional staff will see to it that every detail is attended to during your function, ensuring that you are 100% satisfied with the venue you have chosen as well as the service received. Catering: We offer a number of catering options to choose from, to ensure that you are happy with your dishes and catering prepared by our experienced chefs. Facilities: All the facilities you would expect from a function venue is included when booking the Liquid Lounge. This includes different styles of setup options, upper sundeck and lower indoor venue, a dancefloor, cash bar, buffet setup, sound system and more.